Many congratulations to Ian Bostridge who has been awarded the 60th Pol Roger Duff Cooper Prize for non-fiction writing for his book ‘Schubert’s Winter Journey: Anatomy of an Obsession’. This in-depth study of Franz Schubert’s ‘Winterreise’ focuses on the context, resonance and personal significance to the author of the work, and has been met with universal acclaim. Announcing the winner was Artemis Cooper, who described the book as ‘not only a beautiful and complex meditation on a great work of art; it also describes the experience of singing the ‘Winterreise’ – both what you bring to a piece, and what you take away’. Among the many guests at the Ambassador’s Residence in Kensington was HRH Prince Michael of Kent, and many leading authors: Noel Malcolm, Claire Harman, Paul Strohm and Ferdinand Mount, all shortlisted for the Prize; as well as Dame Antonia Fraser, Antony Beevor, Jung Chang and Jon Halliday, Rachel Johnson, Philip Bobbitt, Simon Jenkins and Adam Zamoyski. ‘Schubert’s Winter Journey: Anatomy of an Obsession’ was published in 2014 by Faber & Faber in the UK and has since been reproduced by Knopf in the States, CH Beck in Germany and Hollands Diep in The Netherlands. The book is to be translated into a further seven languages (Swedish, Spanish, Finnish, Polish, Korean, Japanese and Chinese). 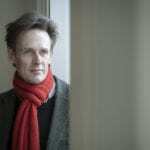 Ian Bostridge embarked on a European recital tour of Schubert’s ‘Winterreise’ with Thomas Adès to coincide with the original publication in Autumn 2014, and he will give further performances with Thomas Adès in the States during the 2016/17 season. This season he performs the work at the Berliner Festspiele (15 March), at the American Cathedral in Paris (25 March), at the Opéra de Lyon (10 April) and at the Mecklenburg-Vorpommern Festival (11 August). In addition, Ian will give staged performances of Hans Zender’s orchestration of the work, ‘The Dark Mirror: Zender’s Winterreise’ at London’s Barbican Centre on 12, 13 and 14 May. More information about the Duff Cooper prize can be found on their website. More information about ‘Schubert’s Winter Journey’ and Ian’s other publications by Faber & Faber can be found on the publisher’s website.